Dr. DeMarree's research lies at the intersection of attitudes, social cognition, and the self. Projects examine (a) the mechanisms by which primes impact judgments and behavior, including their impact on the self, and meta-cognitive factors influencing priming effects; (b) the role of self-variables, such as self-affirmation and self-confidence, in persuasion; (c) predictors of attitude strength, and in particular subjective ambivalence, and (d) self-strength, or the factors predicting the durability and impactfulness of self-views. Brinol, P., & DeMarree, K. G. (2012). 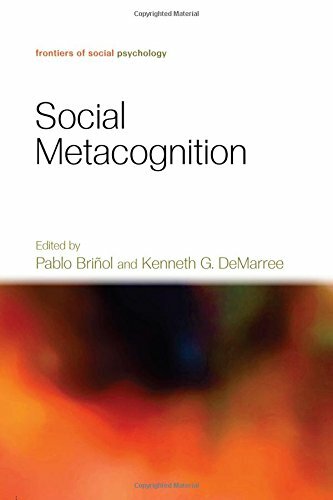 Social metacognition. New York: Psychology Press. Brinol, P., Petty, R. E., Gallardo, I., & DeMarree, K. G. (2007). The effect of self-affirmation in nonthreatening persuasion domains: Timing affects the process. Personality and Social Psychology Bulletin, 33(11), 1533-1546. DeMarree, K. G., & Loersch, C. (2009). Who am I and who are you? Priming and the influence of self versus other focused attention. Journal of Experimental Social Psychology, 45(2), 440-443. DeMarree, K. G., Loersch, C., Brinol, P., Petty, R. E., Payne, B. K., & Rucker, D. D. (2012). From primed construct to motivated behavior: Validation processes in goal pursuit. Personality and Social Psychology Bulletin, 38, 1659-1670. DeMarree, K. G., Petty, R. E., & Brinol, P. (2007). Self and attitude strength parallels: Focus on accessibility. Social and Personality Psychology Compass, 1(1), 441-468. DeMarree, K. G., Petty, R. E., & Strunk, D. R. (2010). Self-esteem accessibility as attitude strength: On the durability and impactfulness of accessible self-views. Personality and Social Psychology Bulletin, 36(5), 628-641. DeMarree, K. G., Wheeler, S. C., & Petty, R. E. (2005). Priming a new identity: Effects of non-self stereotype primes and self-monitoring on the self-concept. Journal of Personality and Social Psychology, 89(5), 657-671. Petty, R. E., Brinol, P., & DeMarree, K. G. (2007). The Meta-Cognitive Model (MCM) of attitudes: Implications for attitude measurement, change, and strength. Social Cognition [Special issue: What is an attitude? ], 25(5), 657-686. Petty, R. E., DeMarree, K. G., Brinol, P., Horcajo, J., & Strathman, A. J. (2008). Need for cognition can magnify or attenuate priming effects in social judgment. Personality and Social Psychology Bulletin, 37(7), 900-912. Randolph-Seng, B., Reich, D. A., & DeMarree, K. G. (2012). On the nonconscious antecedents of social identification: Ingroup salience, outgroup salience, or both? Social Cognition, 30, 335-349. Wheeler, S. C., & DeMarree, K. G. (2009). Multiple mechanisms of prime-to-behavior effects. Social and Personality Psychology Compass, 3(4), 566-581. Wheeler, S. C., DeMarree, K. G., & Petty, R. E. (2008). A match made in the laboratory: Persuasion and matches to primed traits and stereotypes. Journal of Experimental Social Psychology, 44(4), 1035-1047. Wheeler, S. C., DeMarree, K. G., & Petty, R. E. (2007). Understanding the role of the self in prime-to-behavior effects: The Active-Self account. Personality and Social Psychology Review, 11(3), 234-261.